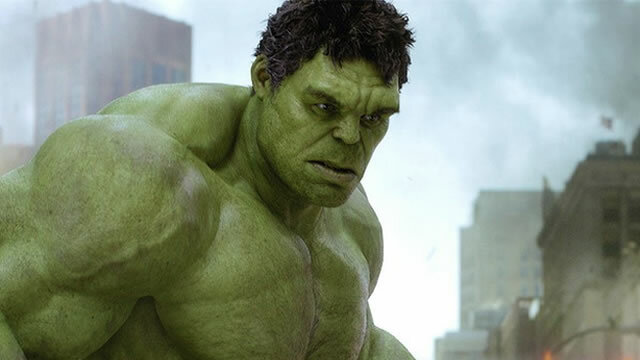 Nine years ago, Ang Lee’s vision of The Hulk left audiences wanting for something less abstract and more action packed. The Incredible Hulk delivered just that, albeit to a surprisingly muted response. Given those prior missteps (though I maintain that Ang’s film is a misunderstood gem) the Green Goliath’s inclusion in The Avengers is, by all accounts, being met with great enthusiasm. I think this lends credence to the theory that the character works better as part of an ensemble than he does as a solo act, at least from a cinematic point of view. The latest TV Spot for the film ends on a very high note for Hulk fans. It shows Captain America giving the Jolly Green Giant permission to “Smash.” In response, Hulk gives a menacing grin and proceeds to do as told. This is the first time I can recall seeing the character give anything resembling a smile in any of his big screen incarnations. Surprisingly, it doesn’t take any of the menace out of him. If anything, it reflects the audience’s pleasure in watching old Greenie do what he does best. I hope the finished film has much more of this in store.